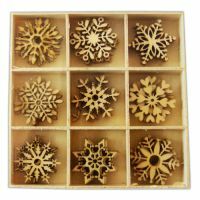 A pack of 45 wooden snowflakes in nine different designs. Use the snowflakes as they are or add colour and sparkle with embossing powder, paint, marker pens, ink etc. 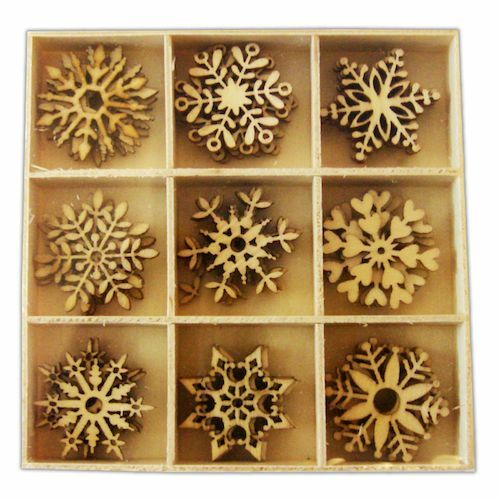 The snowflakes are light enough to use on Christmas cards to add dimension or can be used to make all kinds of Christmas decorations.